My dream is to spark a national conversation about how massive parental involvement is the key to high quality education. What do you do if your child has an official diagnosis of dyslexia and yet is not receiving specially designed instruction at school? Perhaps you are fighting for your child’s right to an IEP. Or maybe the IEP team offered to pull your child out of general ed and put him in a resource room with students who have a wide variety of other issues. Possibly your school district offers no dyslexia-specific services to students with dyslexia at all. You hear rumors of other states where dyslexic kids receive sixty minutes of the Wilson Reading Program a day and you weep. Take a deep breath. Square your shoulders. Concentrate on hope instead of anger. You can help your child immensely! Be your child’s advocate, find a dyslexia tutor (if you can afford one), and start afterschooling. I’m not the best person to talk about special education advocacy or finding a dyslexia tutor (hint: email Susan Barton or contact your local Decoding Dyslexia chapter), but I’ve spent the last sixteen years honing my skills as a K-4 teacher turned afterschooling mom. Don’t wait for the school district to deliver meaningful dyslexia intervention to your child. Piece-work together a plan that works for your child in the interim. Keep advocating, but also start afterschooling. Something is better than nothing. I wish I could offer guarantees that what works for my student will work perfectly for your son or daughter, but I cannot. My strategy is to not rely on any one program or method but instead to hedge my bets. You can use the framework of my afterschooling plan to create something that will make a meaningful difference for your child. Think of this as a sample plan for what might work for you. Step #1: Buy an iPad or tablet. A lot of the ideas you will read about in this post could also happen with a computer, but in my experience the tablet makes things easier for kids. Step #2: Sign up for subscriptions to Nessy.com, Dreambox Learning, and Learning Ally. More about Learning Ally here. I’ve also tried out Reading Eggs, but like Nessy better for kids with dyslexia. If your student prefers Reading Eggs, go with that. Dreambox Math is an online math program that helps kids understand “the sixteeness of sixteen” instead of relying on rote memory. It’s Common Core aligned, and will mesh well with whatever math curriculum your school uses. 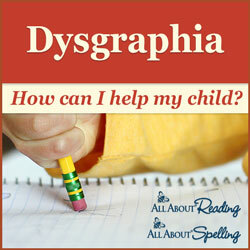 Since there’s no writing involved, dysgraphia won’t get in the way. However, Dreambox is not specifically designed for kids with dyslexia. Occasionally it includes games that might frustrate kids with weak working memory. As an afterschooling program though, it is really easy to implement. It’s much better than worksheets, and less involved than a complete homeschooling program like Right Start or Math U See. AAR and AAS are scripted programs which means all you need to do is read from the teacher’s guide. It involves a giant magnetic board with phoneme tiles, a box of flashcards, decodable readers, fluency practice sheets, and the occasional cut and paste game. 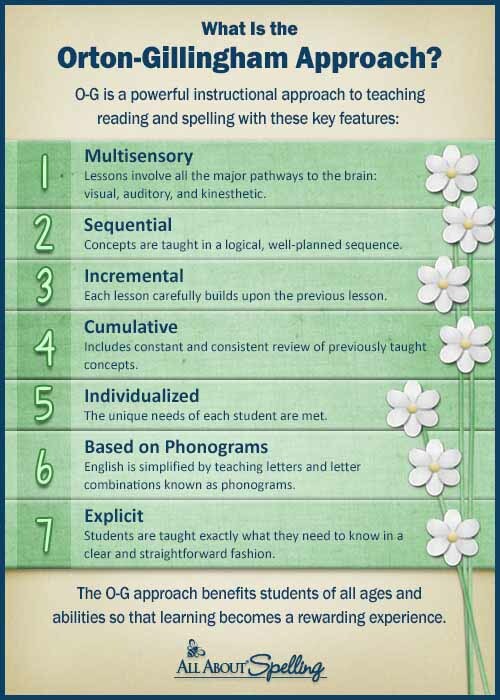 Both programs are based on the Orton-Gillingham Approach which has a proven track record for helping kids with dyslexia. In a homeschooling situation it would be easier to plug away at AAR and AAS in big chunks of time. With afterschooling, you have to be more creative. But it’s definitely doable. Plus, you have the comfort of knowing that your son or daughter is receiving an Orton-Gillingham based intervention with or without the school district’s help. Step #4 Buy the Handwriting Without Tears “Wet, Dry, Try” App. You could also try purchasing the entire Handwriting Without Tears curriculum. But definitely start with the app first because it is cheaper and easier to implement in an afterschooling setting. The app has the added benefit of being user friendly. It’s something that small kids can do on their own without adult assistance. The actual HWT curriculum is of course marvelous, but it requires an adult. Step #5 Be creative so your child doesn’t hate you. No kid wants to hear “Guess what, Timmy? You’re going to do an extra seven hours of school every week, after you’ve already gone to school!” That would be horrible. A smart parent is clever about marketing and generous with bribes. I’ve found a lot of success with rewards charts. I use my computer to make a new game sheet each week. On the sheet are pictures of all of the afterschooling tasks my student will do. For really big things like an All About Reading lesson, I divide it out into the reader, the fluency workbook, and the magnet board. I also throw in fun things like read to the dog. Prizes include everything from stickers, candy, $2 dollar bills, hair ribbons, gum, and erasers, to trips to Chuck E. Cheese’s and the indoor swimming pool. I change the prizes every week to keep things interesting. Yes, buying all of these prizes costs money. But when you ask a child to do an extra seven hours of work each week you need to reward them. #6 Afterschool between the cracks. Listening to a Learning Ally story. 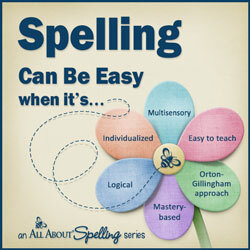 All About Spelling or All About Reading flashcards. Fluency practice from the All About Reading Activity Book. The All About Spelling and All About Reading magnet board. Afterschooling for dyslexia is a huge time commitment. With my student, we shoot for six hours a week in addition to a one hour session with a private tutor. That means my student is working an additional seven hours a week above and beyond what’s happening at school, and not including traditional homework. Yikes! This schedule is grueling but creates positive results. It also requires sacrifice from everyone involved. Sacrifice means saying: “No, I cannot volunteer for X, Y, Z,” and “I’m sorry, but we don’t have time for piano lessons right now.” It also means closing your checkbook to school fundraisers because you are already spending so much on your afterschooling program. At the beginning of this post I mentioned that I have been honing my afterschooling skills for sixteen years. For the past three years I’ve done process of elimination to find out what strategies do not work for afterschooling and dyslexia. Unfortunately, that doesn’t mean I’ve stumbled upon perfection. I have developed a deep faith in parents’ abilities to make meaningful impact in their children’s educations. Not every family can afford to spend $20,000 for an expensive dyslexia program. But every child deserves to become a strong reader. I believe you can make a difference in your child’s education! Over the years I’ve reviewed a lot of computer-based phonics programs for kids, but I’ve never seen one specifically designed for children with dyslexia until now. Nessy comes from England and bills itself as “Everything you need to help children with dyslexia and reading disabilities.” A subscription for one student costs $10 a month or $100 a year. That’s significantly cheaper than a private dyslexia tutor, but slightly more expensive than programs such as Reading Eggs or Starfall. Three big questions in my mind when I bought a Nessy subscription several weeks ago were 1) How is Nessy different from other computerized phonics programs? 2) Is it worth the time and money? and #3) What should parents know about Nessy? #1 How is Nessy different from other computerized phonics program? If you want to read the official list describing the fundamentals of Nessy, click here to go to the company website. My observations are not nearly as scientific. I’m telling you what I see as former K-4 teacher. Nessy is slower and more systematic than other programs I’ve reviewed. 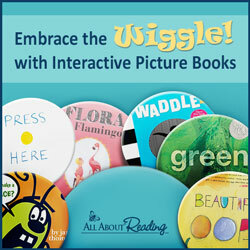 It introduces sight-words in a way that is more user-friendly for kids with dyslexia. If a kid is learning the “th” sound for example, all the games are about the “th” sound. It doesn’t switch from “th” to sight-words, to review, to “ch,” to something else, and so on. Instead, it’s “th,” “th,” “th,” “th,” until the kids really understands. #2 Is Nessy worth the time and money? Yes! A resounding Yes! The child I’m working with loves Nessy. She was hitting the wall with other computer games we tried. Nessy seems to make sense to her, and for that I’m really grateful. We are using Nessy in conjunction with All About Reading and All About Spelling. Nessy is not the only intervention happening, but it is one significant piece. I also think Nessy would be good for children who do not yet have an official diagnosis of dyslexia. The wait to get assessed can take months if not years. In the meantime, kids could be doing Nessy just in case. Neurytypical kids would probably benefit too. #3 What should parents know about Nessy? When Nessy works, it really, really works well. But sometimes, there will be technical glitches. It’s important to go into the settings and choose your location and the type of English you want. For me, that meant USA with an American accent. If you don’t do this, the loading time will be way too slow. Plus the accent could confuse your student. We’ve experienced loading differences on the computer versus the iPad. On the computer, sometimes the videos are blocked by “loading” symbols. On the iPad, the sound occasionally cuts out, and I have to turn the game off and bring it back on again. The glitches can be frustrating, but not enough to outweigh all of the benefits. My experience with Nessy revolves around a first grader, who seems to be the perfect age for this program. They say it’s suitable for 5-12 years of age, but fourth graders on up might think Nessy is babyish. That’s not to say a nine year old wouldn’t learn a lot from Nessy, just that it doesn’t have a cool “tween” vibe. As an Afterschooling program, Nessy is an excellent supplement to other dyslexia interventions already in place.